Shops write estimates as normal and receive the MyPriceLink pricing without any disruption or change to their workflow. The only change is the way your estimating system is receiving suggested list price. MyPriceLink enables OEMs to move away from traditional, static price tapes for collision parts and instead, provide real-time suggested list pricing. CollisionLink Shop is integrated with MyPriceLink. CollisionLink is a free, all makes all models, web-based application that enables shops to order parts online directly from OEM franchised dealers. 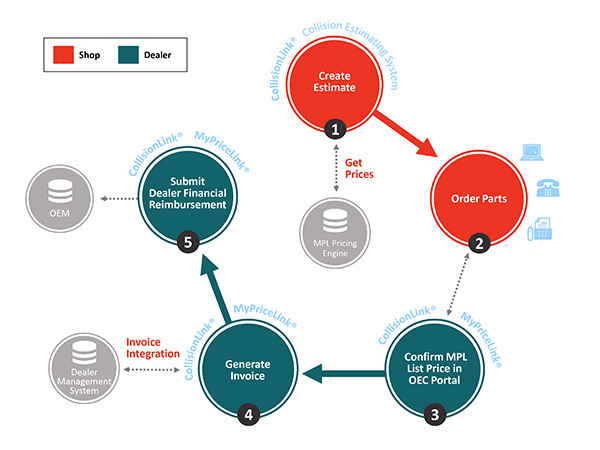 CollisionLink Shop users send orders the same way it was done prior to MyPriceLink implementation. The difference is when an estimate is imported into CollisionLink, the imported OEM suggested list price from the estimate is checked with MyPriceLink to get the latest price, significantly reducing any supplements relating to parts price changes. Shops not currently using CollisionLink can register and begin using CollisionLink to retrieve the most accurate MyPriceLink suggested list price. 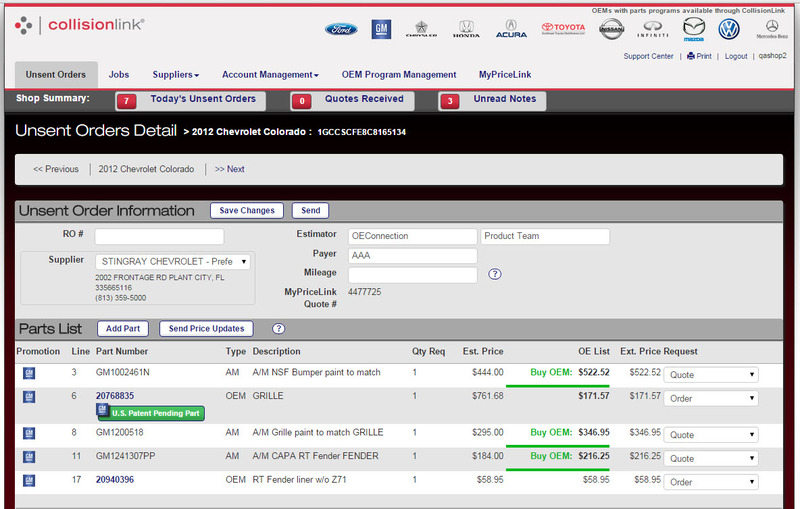 Additionally, shops can use CollisionLink as an OE parts ordering tool for all makes and models. CollisionLink is used today to fulfill orders by virtually all major collision parts wholesalers across the country. 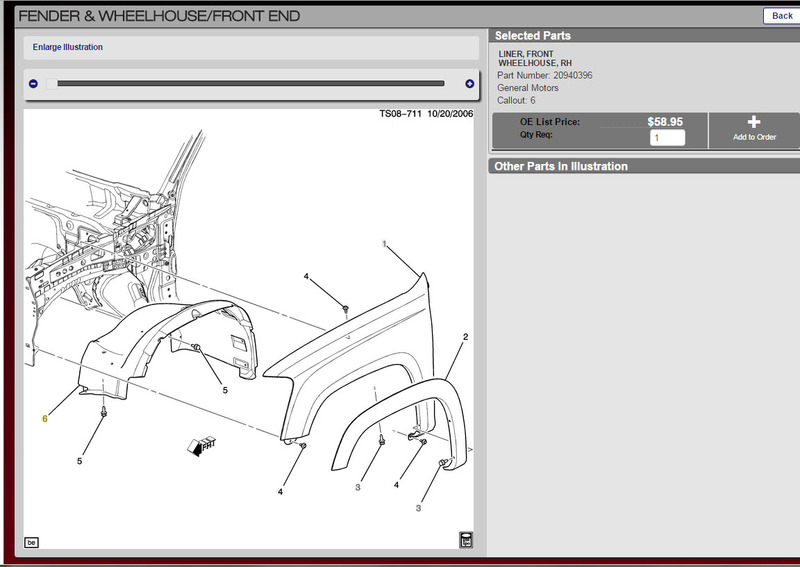 It is the most efficient way to order OE parts in the marketplace today. Shops required to use another parts procurement solution to send collision orders can still use CollisionLink Shop to view estimates with MyPriceLink prices, without having to send the order. Alternately, the MyPriceLink Look-up Tool within the CollisionLink Shop application can be used to enter OEM part numbers and view the real-time MyPriceLink prices. If you have questions regarding your specific estimating system, please contact them directly. If you are not already experiencing the benefits of CollisionLink Shop, you can register for free. For questions regarding your individual collision estimating system, contact your CES provider. For questions regarding CollisionLink Shop, please use the Support Center located at the top right corner of the CollisionLinkShop.com application.